The sleek look of a metal roof, along with its durability, make this particular commercial roofing option a desirable solution for many business owners. However, as with any material, metal roofing can come with its own unique set of potential issues. In order to get the long-term performance and protection you’re looking for, it’s imperative to use an experienced commercial roofing company to avoid any metal roof problems you may otherwise encounter (or, if problems are already an issue, they will be able to address them quickly). In this post, we’ll cover four of the most common problems with metal roofing, and how to fix or avoid them. One of the most familiar problems with metal roofing (or any roofing, for that matter) is leaking. Leaks can damage the structure of your building in addition to the many assets inside, quickly driving up the cost of repair if ignored for too long. In most cases, leaks in a metal roof are caused by extreme weather—ice that freezes and then thaws quickly. However, leaks may also occur due to age or because the seam of your roof (which connects multiple panels) wasn’t installed correctly in the first place. Problems with your roof’s flashing (which is meant to stop moisture from leaking into the joints of your roof) could also be to blame. In order to fix this common type of metal roof problem, make it a priority to act as quickly as possible. Ignoring your leak will only make it worse. Also, do yourself a favor this time around and hire a professional. An untrained eye may not be able to identify the true source of the leak and can make a bad situation worse. 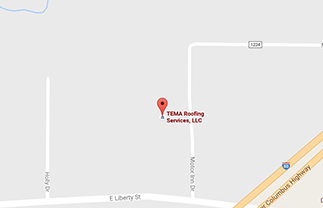 Does your metal roof look somewhat wavy or wrinkled in areas? If so, then you are likely dealing with an oil canning issue. One of the most common metal roof problems, oil canning can happen with different types of metals but typically has nothing to do with the structural integrity of the building. Causes may be that the roofer who initially installed your roof didn’t leave enough room for it to expand and contract or that they applied too much pressure to the metal during the initial coiling process. In order to fix the issue, you may need to replace your roof with a thicker metal. When installing a new roof, rib rollers are a solution to minimize the potential for oil canning because the manufactured indentations break up the amount of flat surface that is visible on the panel itself. Additionally, choosing a lighter colored material with a matte finish can make any imperfections harder to see. Unfortunately, corrosion is still a potential problem for metal roofing, despite the fact that metal materials are better suited to resist corrosion than many other kinds of roofing (the average metal roof lifespan can be 60+ years). Corrosion on your metal roof may happen because the underside wasn’t coated correctly, allowing water to get locked between the insulation and the panel itself. Over time, this corrosion will cause your roof panels to weaken, essentially failing from the inside out. Also, if you remember back to your lessons in Chemistry 101, some metals have negative interactions when paired with one another (galvanic corrosion). And, if dissimilar metals are put together, corrosion may occur rapidly. However, an experienced professional can help you avoid and/or repair issues by identifying the potential for various metal compatibility or spot galvanic corrosion areas. The fourth and final problem on our list may be a category you didn’t see coming: scuffs, scratches and fading. Fading happens because your paint’s pigment has broken down as a result of constant contact with UV rays, water or even pollution. Fading changes your roof’s color, often inconsistently, and will occur no matter where your building is located. But, don’t lose hope. The good news is that, because of how common this issue is, most roofing manufacturers offer some sort of a warranty to help cover any premature fading. Scuffs and scratches can happen for a variety of reasons, from something as simple as an inexperienced roofer failing to use edge guards or dropping a tool to the metal being improperly coiled (which is why working with an experienced roofing professional is non-negotiable). Need Help With Metal Roof Problems? We hope this post has helped you to learn about not only the most common metal roof problems but also the causes behind them. At the end of the day, working with a roofing professional who can help you make the right choice regarding your roofing material is a smart move. If you already have metal roof issues, don’t try to take the DIY approach. It is unsafe for untrained individuals and could even end up damaging your roof further. Instead, spend some time on our site to learn more about the services we offer. When you’re ready for the best, get in touch with us!